Need to add an extra ball to your roller but don't want upgrade your entire bag? The Plus One from Hammer is the solution. 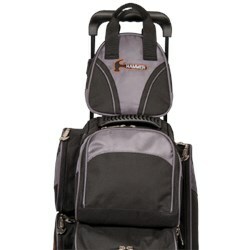 This bag allows you to carry a backup or spare ball with you to the lanes on top of your roller. The back of the bag has straps that velcro to attach it to the handle of the roller bowling bag. So use it as an addition to your roller bag or as a single ball tote, it is your choice! 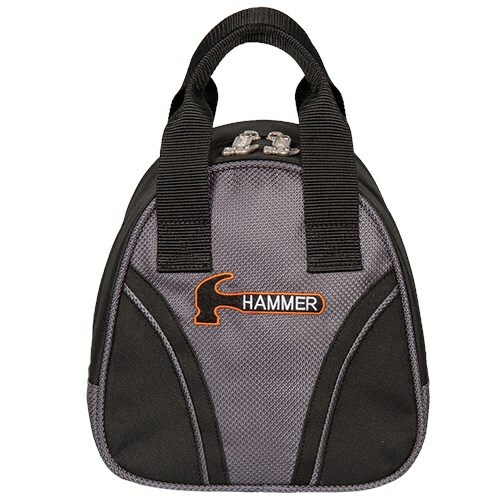 Is the hammer logo on both sides of the bag? If not, can you personalize? The Hammer Logo will only be on one side of the bag. Unfortunately, we do not offer personalized embroidery. What is the maximum weight it will carry? I'd like to use it for a kettlebell when I travel. The maximum weight would be around 16-20 pounds. Can a pair of bowling shoes fit in tote bag? Unfortunately, this tote is only for one ball. Due to the time it takes to produce the Hammer Plus One Carbon/Black Single Tote ball it will ship in immediately. We cannot ship this ball outside the United States.